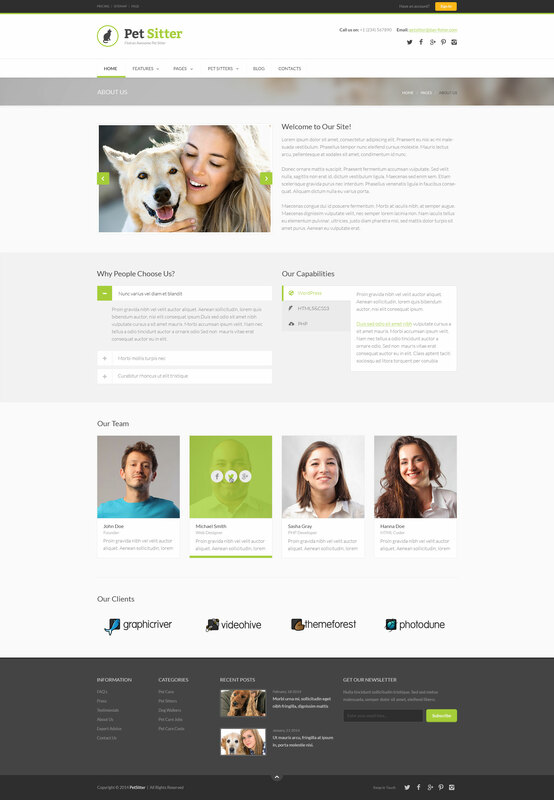 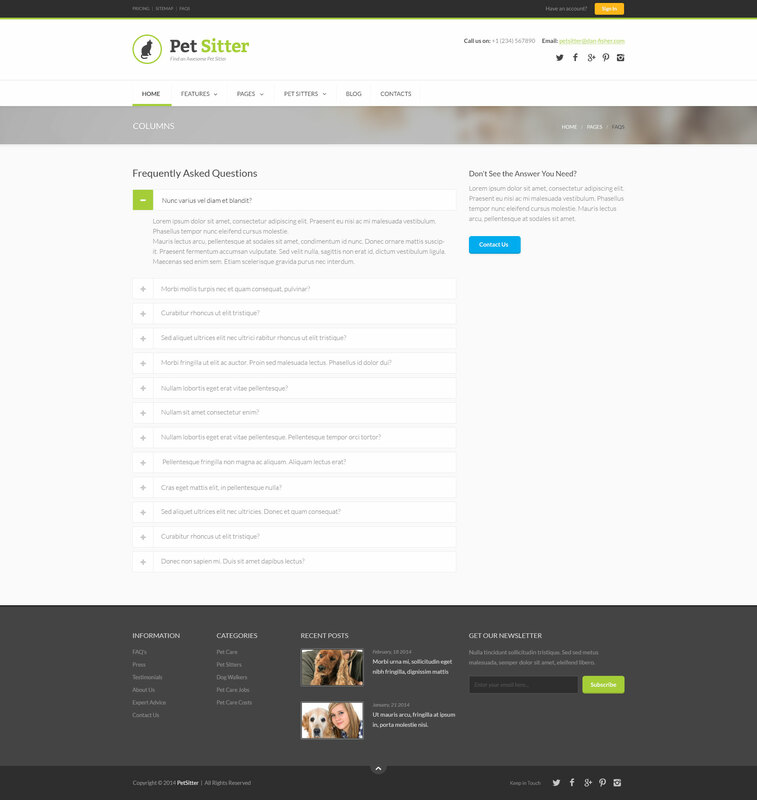 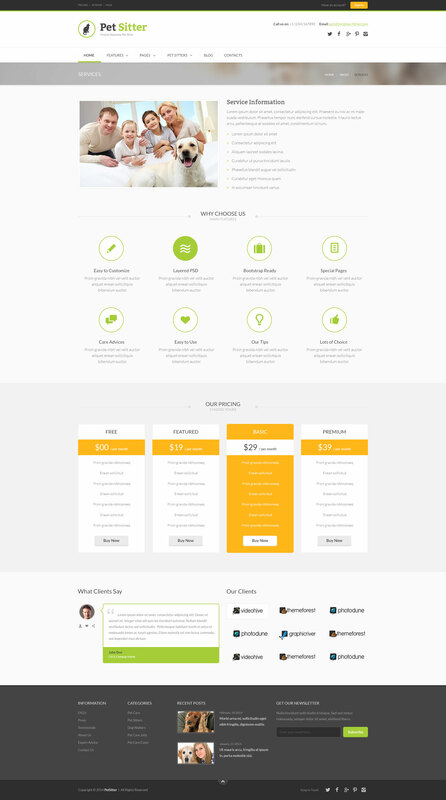 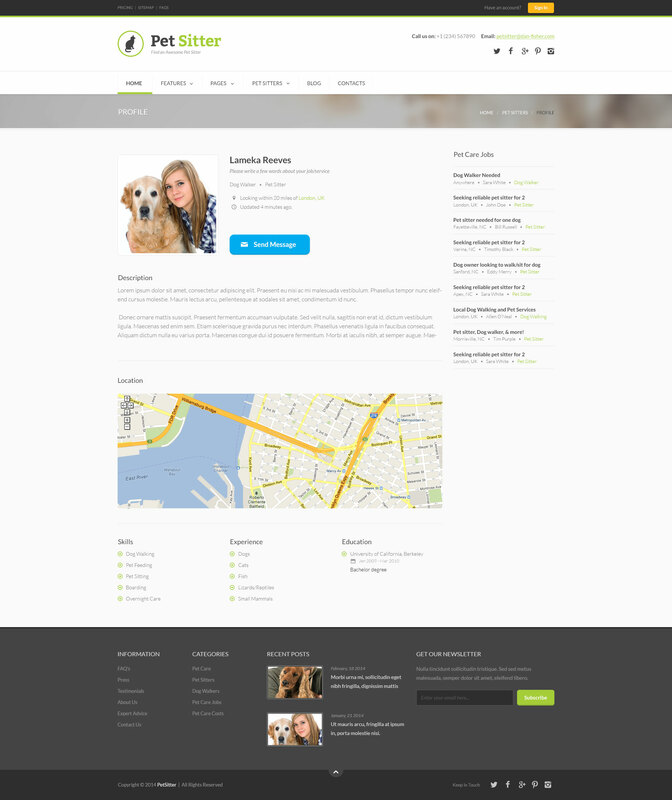 Pet Sitter includes one of the greatest options panel – Redux Theme Options. 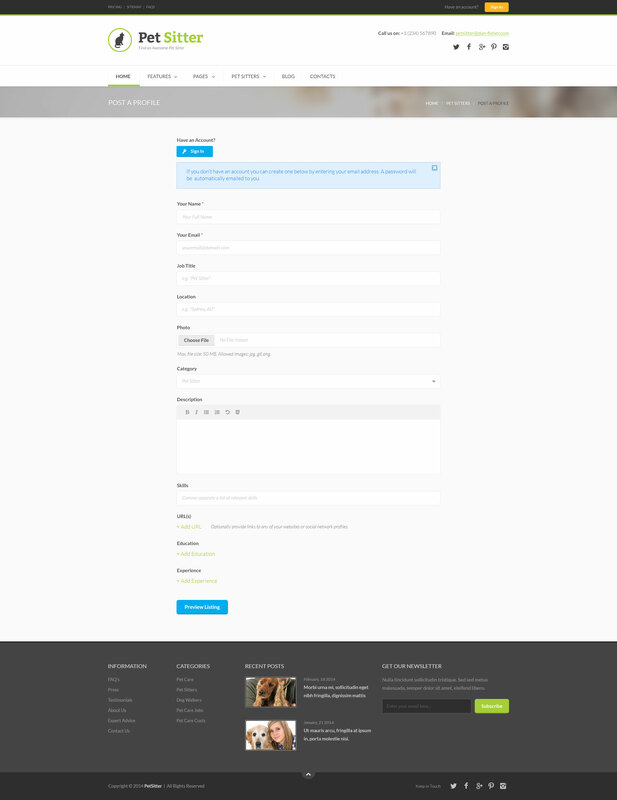 You can easily change any theme color. 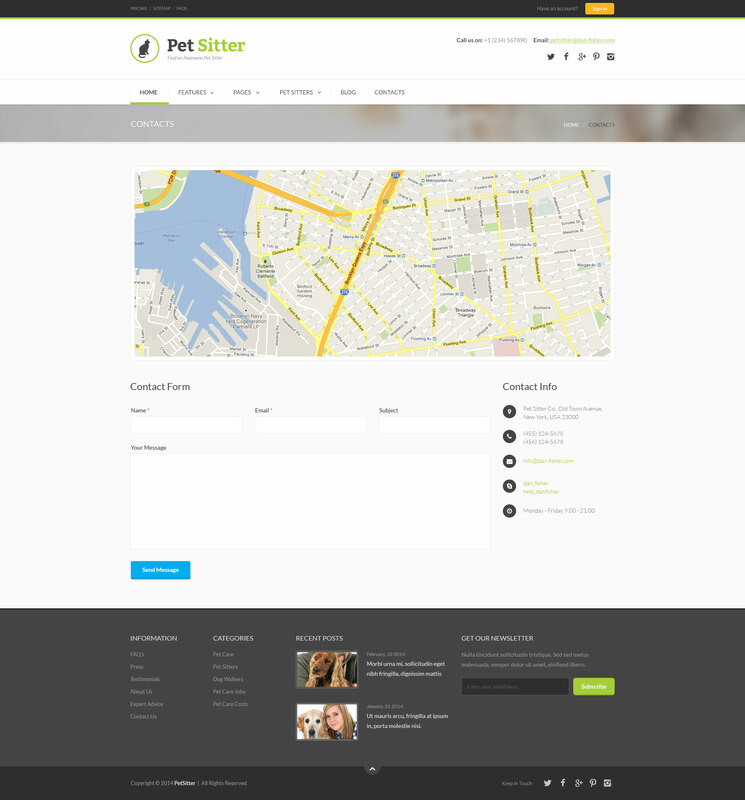 Pet Sitter comes with a lot of Page Builder elements so you can create any type of content you needed. 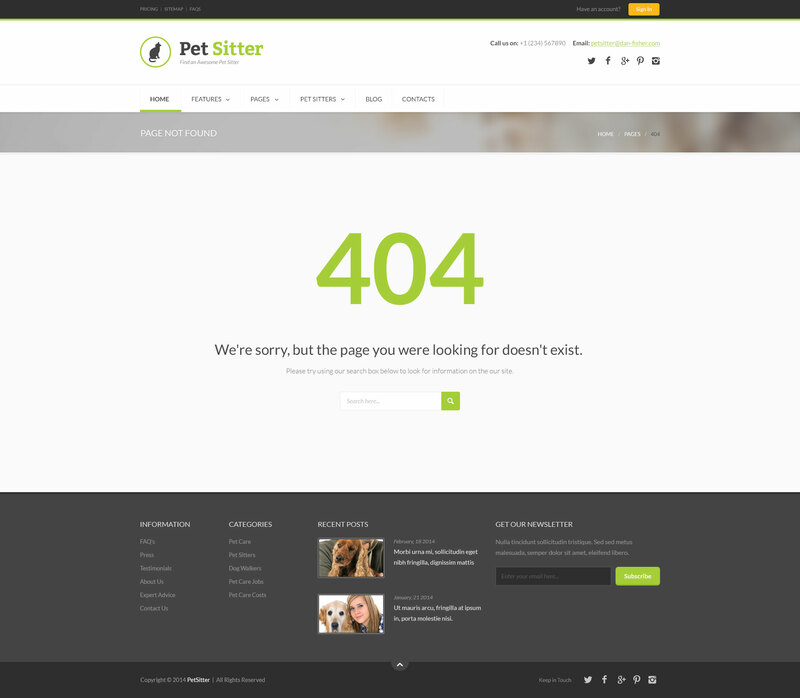 Even if you are creating a blog about cats, dogs or other pets, then this theme is a good option. 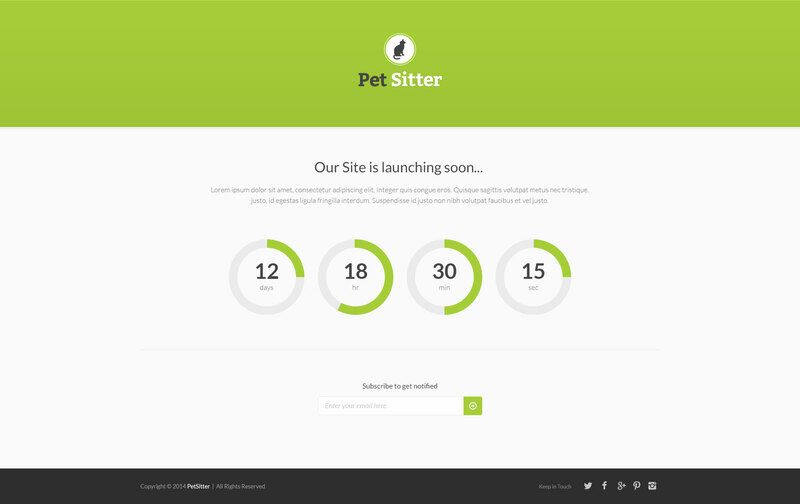 Pet Sitter comes with a nice selection of post formats for displaying different types of content on your blog, including galleries, images, videos, quotes, and links. 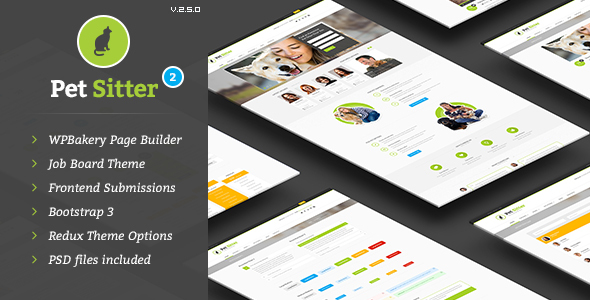 Based on WP Job Manager plugin (free). 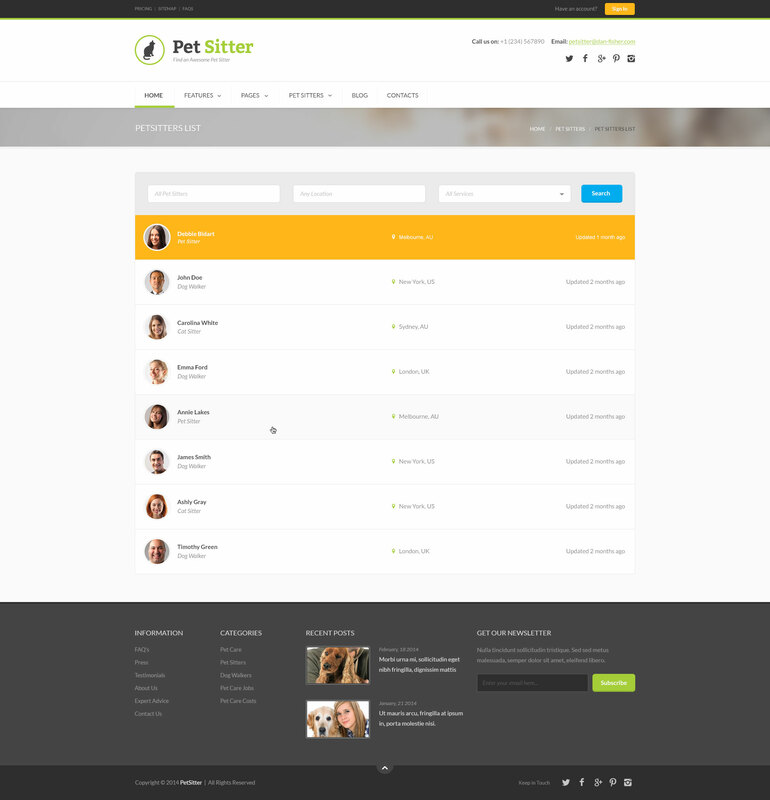 Based on Resume Manager (sold separately). 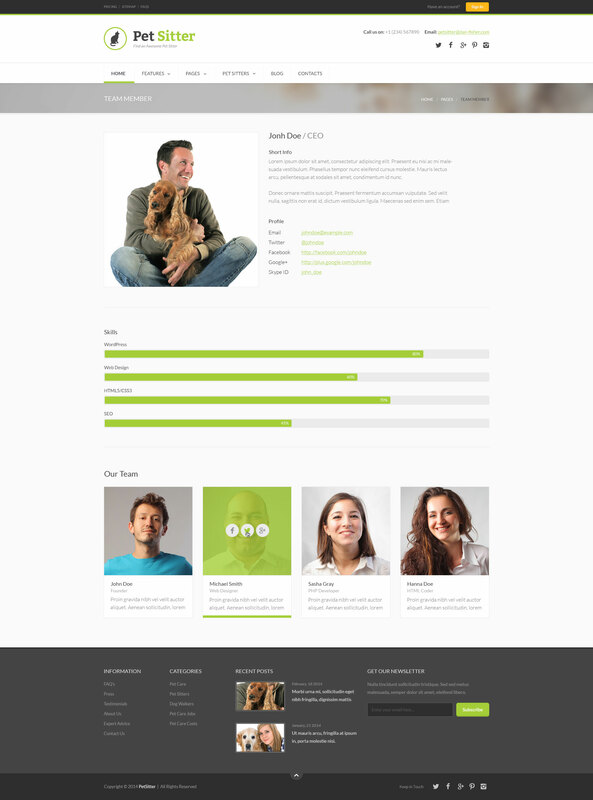 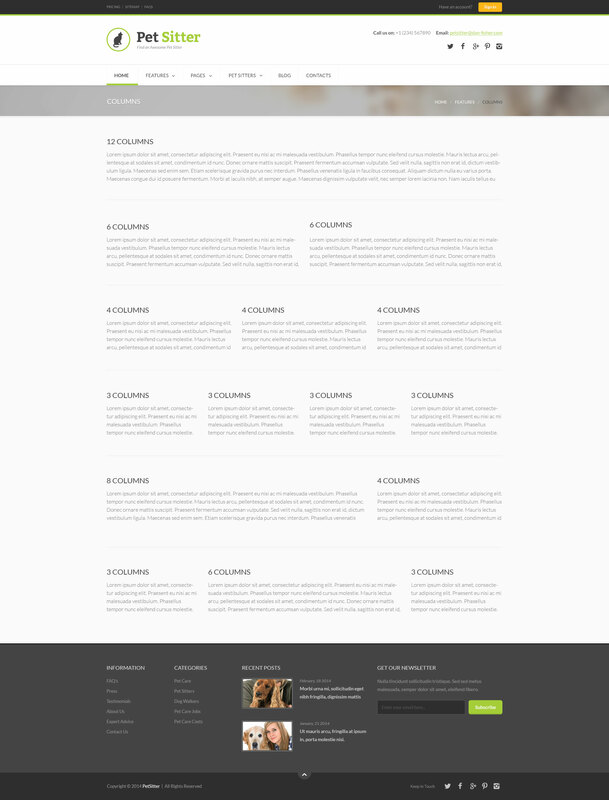 NOTE: All images used in the theme are for demo purpose only and aren’t included into the theme package. 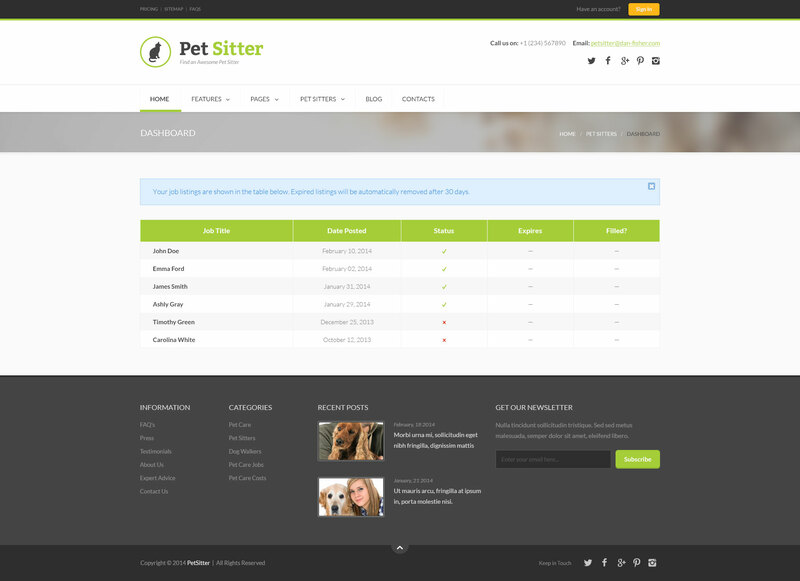 NOTE: For pet sitter submission and pet sitters listings you should use Resume Manager paid plugin. 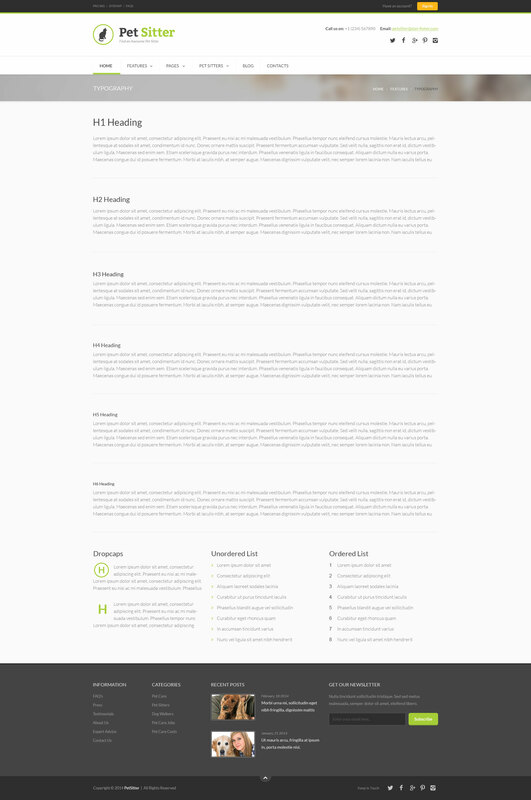 NOTE: Reviewer plugin needs WordPress >= 4.0 and PHP >= 5.3 to work.